Graphic Designer Talk. Are Your Graphics Designed For 2014? It’s the bane of a small business owner’s existence: Scrambling to keep up with a frantic workload during the year and then wondering what on earth to do over the holidays and the first few weeks of the new year, when business often slows down. You can make the most of this slowdown – and ensure that your business is prepared to handle the busier days ahead – by reviewing your marketing collateral and hiring a graphic designer to update (or create) the graphic design materials your business needs most. This project can be a fun and enjoyable experience that may prompt you to review your business and marketing activities with a more critical eye. And there isn’t a business in the world that cannot benefit from such an exercise. 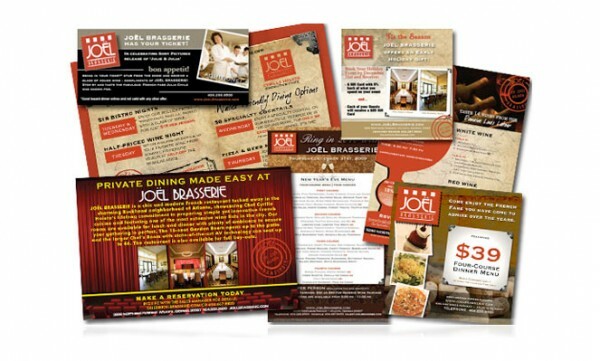 Gather all of your marketing collateral that incorporates graphic design: Brochures, postcards, coupons and even business cards. Anything and everything that contains information that you disseminate to your customers ought to be rounded up and put in a central location for you to review. Your graphic designer will need this collateral, too, to ensure – among other things – that your company brand is communicated in a consistent manner – for example, through the use of your company colors and your logo. Critique these graphic design materials with a discerning eye. What words or phrases should be updated? What information should be added? A good graphic designer will conduct a similar inventory with you, so it’s a good idea to be prepared and organize your ideas beforehand. Review the graphic design collateral you have collected from your competitors. If you don’t have any, now’s the time to gather it to see how your company – through the use of effective graphic design – can get a leg up on the competition. Draft a “wish list” of those graphic design materials you literally wish you had on hand but just haven’t had the time to produce. For example, now might be the perfect time to create the press kit you know you should have on hand or one-page bio sheets on the key players in your business. Look at your calendar – and consult your colleagues – for upcoming business expos, chamber of commerce appearances and other promotional events. What new graphic design collateral would you like to have for these events? Should I Use A Professional Graphic Designer? With all of this information before you, and with your creative juices flowing, you should be in an excellent position to consult with a graphic designer to brainstorm ideas, plan a project schedule and get your graphic design projects prepared for 2014. And fear not. Graphic designers are often not as expensive as you might think, and most designers will happily work with businesses to produce work in a staggered manner to help make the project more financially feasible. At this point, you might be tempted to produce your own graphic design materials through a word processing program. But ask yourself, and ask yourself honestly: Have you ever picked up a flyer that you were convinced just rolled off an office printer? If so, what did that flyer communicate to you about the professionalism of that business? Don’t make the mistake of putting your marketing collateral in the hands of anything less than a highly skilled and experienced graphic designer. After all, it’s your business, your image and your profits at stake, and they are too important to risk – at any time of the year.